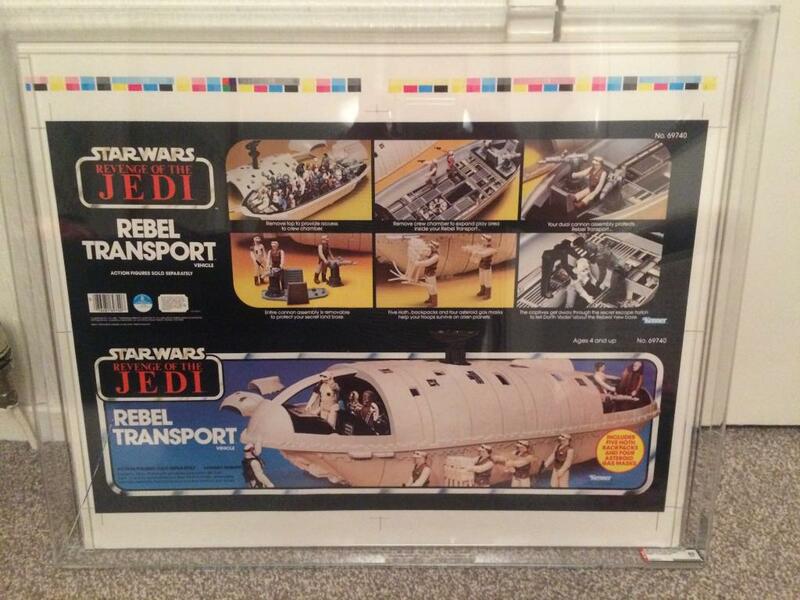 Up for sale is my rebel transport Revenge Of The Jedi Proof sheet. This sheet is a beauty and I am only selling to pick up a nice Vintage first shot. Unfortunately the case is damaged. You can see crack on left and has a little one on the right also. Looking at $1500 obo NOW $1300 price firm , I am willing to go half on shipping also with this price.